​Pep Guardiola has ruled out the possibility of Manchester City captain Vincent Kompany being offered a new contract based on sentimentality. The 32-year-old defender, who is currently facing yet another period on the sidelines, has only featured 15 times for City this season, while his current contract runs out this summer. Since joining the club in 2008, Kompany has captained the team to three Premier League titles, as well as an FA Cup and three League Cup trophies. However, his recurring injury issues have meant the Citizens have recruited heavily at centre back in recent years. While Guardiola dismissed the idea of offering Kompany a new deal for purely nostalgic reasons, the former Barcelona boss acknowledged how important the Belgian is to the club. Guardiola said, as quoted by ​BBC Sport: "He's incredible but the reality is in the last five years he's played few, really few. "So that is the situation we have to put on the table and the club will discuss it with his agent and make the best decision for both. "We don't have any doubts about his quality - we miss him when he is not able to play. "He's important, he is our captain and on the field he gives us extra that few central defenders around the world can give us." 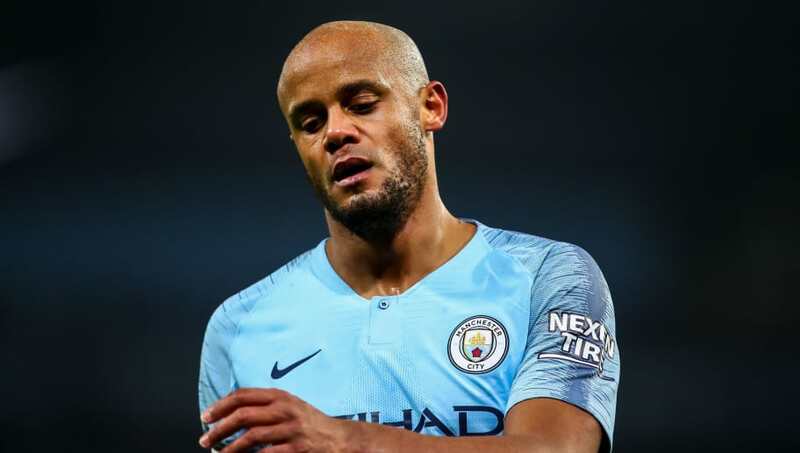 John Stones, Amyeric Laporte and Nicolas Otamendi have all provided stern competition for Kompany, ensuring the 32-year-old has no guarantees over a regular starting position. PEP  I would like to (keep @vincentkompany at the Club). He has something special in many, many things. The long term future of many other club icons remains in doubt too, with David Silva and Sergio Aguero approaching the final years of their respective deals. Guardiola reiterated the fact, that it remains an issue for the club and the players, as opposed to him directly. He added: "In those cases, like him [Kompany], like Sergio [Aguero], like David [Silva], like Mr Toure in the past, it's a decision for them to make together with the club. "He is very special in many ways, in personality and in what he has done on and off the pitch. "He can speak five, six, seven languages and he communicates quite well and we need him. People who represent us are important. "What they have done in the past for the new players and the new generations, we can say 'this guy helped us to build the club that we are and what we're trying to build bigger or higher'."